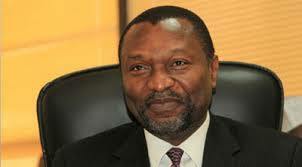 (News Investigators) /The Minister of Budget and National Planning, Udoma Udo Udoma, is optimistic that the Nigerian economy will continue to maintain its recovery in 2019 as the real GDP growth is expected to increase 3.01% in 2019, with the sustained implementation of the ERGP. The GDP has maintained a steady rise from 0.8% in 2017 to 2.1% in 2018. Mr. Udoma who was speaking at the Deloitte Dialogue on Nigeria’s Economic Outlook for 2019, in Lagos on Thursday, said the proposed 2019 Budget was intended to further reposition the economy on the path of faster, inclusive, diversified and sustainable growth, and to continue to lift significant numbers of our citizens out of poverty. “Government is committed to growing the economy, and accordingly the 2019 Budget Proposal has been designed to continue to provide the stimulus and support required to spur growth in the economy,” he stated. While indicating that the 2019 Budget was another step in the country’s journey to ensure diversified, inclusive, sustainable growth, creating jobs for the teeming population and prosperity of Nigerians, Udoma said government expected more diversified and inclusive growth in 2019 and over the medium term. He said though the current real GDP growth performance was still a little sluggish it indicated a positive momentum, especially with regard to the growth of the non-oil sector. “Our aim is to take all measures necessary to ensure that we increase the growth rate whilst maintaining fiscal sustainability,” he said. Explaining the basis for the oil price projections in the budget, the minister said oil prices depended on the interaction between supply and demand for oil in international markets. He said it was however the supply-side factor that had been mainly responsible for the price increase in 2018 and the recent decline. According to him, although crude oil price soared in the second half of 2018, rising as high as US$81.20/b on September 24, 2018 – a four year high – it declined towards the end of 2018, falling below the 2019 budget benchmark of US$60/b. He said whilst the government was obviously concerned about the recent trend, most analysts believed the price would recover in the course of 2019, and so the Federal Government had not seen any need to adjust its benchmark price of US$60. However, he assured the gathering that if, at any time prior to the passage into law of the 2019 Budget by the National Assembly, there was strong reason to believe that the benchmark price of US$60 was unlikely to be realised then the Executive would engage with the National Assembly to agree a lower benchmark price. On oil production levels, the minister said that President Buhari had directed the NNPC to work hard to achieve the 2.3mbpd budget target. “The ERGP Oil production target for 2019 is 2.4mbpd, NNPC production submission is 2.45mbpd. We have revised the ERGP target and NNPC forecast downwards to 2.3mbpd for the 2019 Budget proposal,” he pointed out. He explained that the 2019 proposed budget size was smaller than the 2018 Budget because of the need to contain the size of the deficit so as to keep the nation’s borrowing within prudent limits. The minister pointed out that the proposed deficit of N1.859 trillion in 2019 is about 1.33% of GDP, which was within the 3% threshold stipulated in the Fiscal Responsibility Act (FRA) 2007.